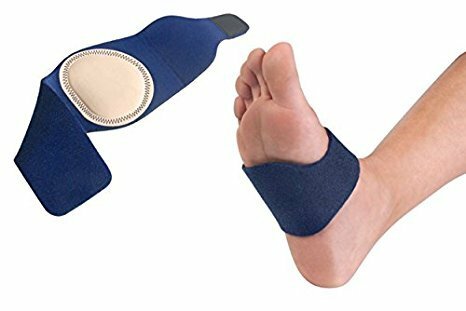 Foot Arch Support by Vive (1 Pair)The Foot Arch Support by Vive Health provides comfortable support for the arch to help relieve the pain associated with plantar fasciitis. The rubber lining on the inside of the brace prevents slippage during wear. Lightweight and breathable material allows you to comfortably wear the support the entire day while the extra strength fasteners allows for a customized fit. Product Features: Gel Support No-Slip Design Adjustable Compression Breathable Material Extra Strength Fasteners Vive GuaranteeWe stand by our products with excellent customer service and 60 day guarantee. YOUR SEARCH TO END SHOOTING ARCH PAIN IS OVER! 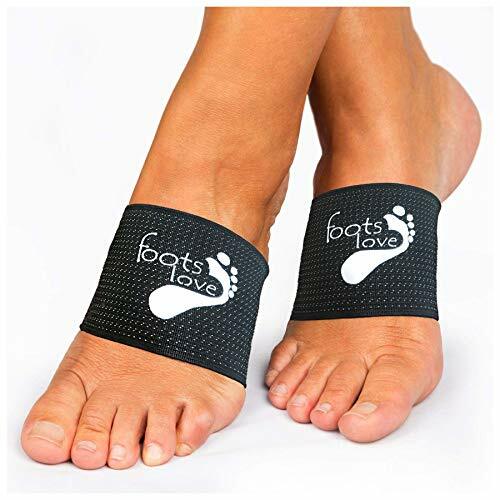 If plantar fasciitis is making it hard for you to get up and active in the morning, Foots Love arch support braces bring the much needed relief. Foots Love BENEFITS AND FEATURES: Improved Blood Circulation, Recovery, and Performance. Stimulates blood flow and improves oxygen delivery to your foot muscles. Reduced Injury, Swelling, and Fatigue. 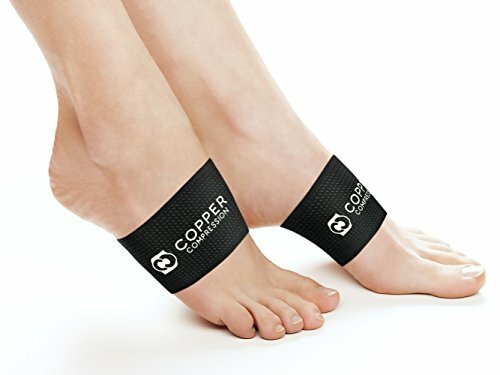 Helps reduce injury and swelling - including cramps and plantar fasciitis. Superior Construction and Comfort. Materials provide the ideal fit with breathable material and arch support features. Keeps your feet dry and minimizes blisters within your arch. Endless Uses. Pregnancy / Maternity - Walking - Jogging - Running - Yoga - Pilates - Soccer - Football - Basketball - Baseball - Ice Hockey - Field Hockey - Lacrosse - Cycling - Triathletes - Hiking - Skiing - Crossfit - Field Sports - Nursing - Medical - Doctor - Hospitality - Construction - Retail - Dress - Travel All these benefits...backed by our 100% money back guarantee! Start the healing "Add to Cart" to order yours today! 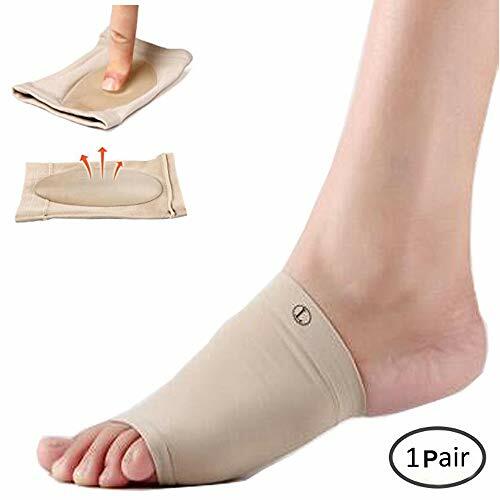 The elastic compression wrap of the foot arch easer is adjustable and is designed to help relieve and prevent arch related foot pain. Place Arch Easer wrap on the floor with fuzzy side down and the fastener strip up and to the outside of the foot. Pull the Arch Easer around the foot, positioned around arch. Arch Easer should be snug, but not too tight. Fasten hook and loop strips so that the edge of the Arch Easer material is in a line between the third and fourth toes. 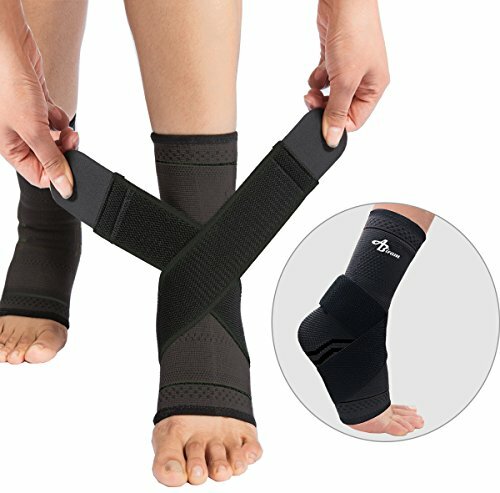 Benefits:- Increase Blood Circulation - Prevent Ankle Twists/Sprains - Pain Relief for Plantar Fasciitis and other foot injury - Lightweight Breathable Material (Moisture Wicking) - Helps Recovery after exercise/post workout - Soft Materials for Comfortable Wear - Three sizes/colours for men, women, kids Material: - Nylon 60%, Polyester 10%, Latex 30%. 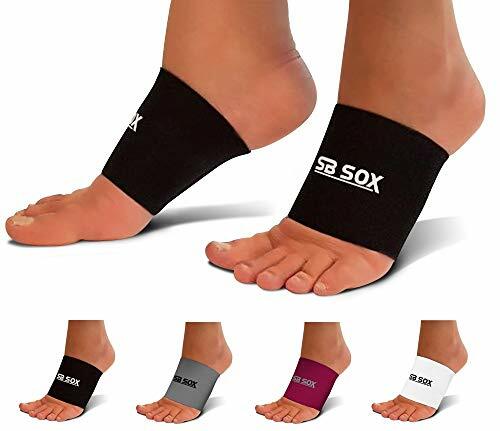 PACKAGE INCLUDES: 2 x Ankle Support (left,right) 2 x Compression Wrap OUR SERVICE - 100% MONEY BACK GUARANTEE-If you aren't satisfied them please tell us what's wrong. If we can't fix your problem, we'll offer free replacements or give you 100% of your money back, no questions asked. We're that confident in the quality of our ankle brace. CLICK ADD TO CART AND ORDER YOURS TODAY! Looking for more Arch Wrap similar ideas? Try to explore these searches: Banner Arm Mounting Kits, Beef Sticks Dog Treats, and Penn Long Beach Reel. Look at latest related video about Arch Wrap. Shopwizion.com is the smartest way for online shopping: compare prices of leading online shops for best deals around the web. Don't miss TOP Arch Wrap deals, updated daily.